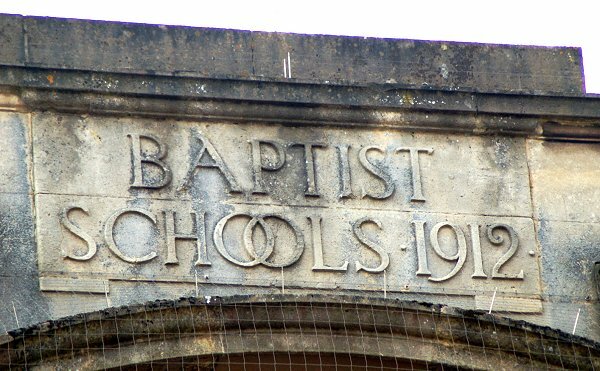 In 1912 the Newnam Memorial Hall and Schools were built alongside the Baptist Chapel in South Street. It was named in memory of Rev Samuel Newnam, minister of the adjacent Baptist chapel from 1883 until 1896. 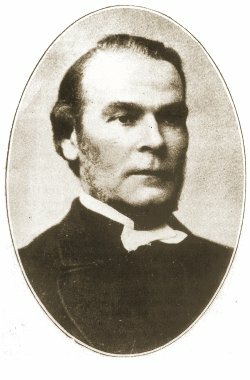 Samuel Newnam, photographed at left, resigned as pastor in 1889 after serving over 15 years at Yeovil, and over 50 years altogether in the Ministry. He retired to Fivehead and died there on 26 May 1907. In 1910 it was proposed to build new schoolrooms at an estimated cost of £2,500 plus £550 for purchase of necessary land. 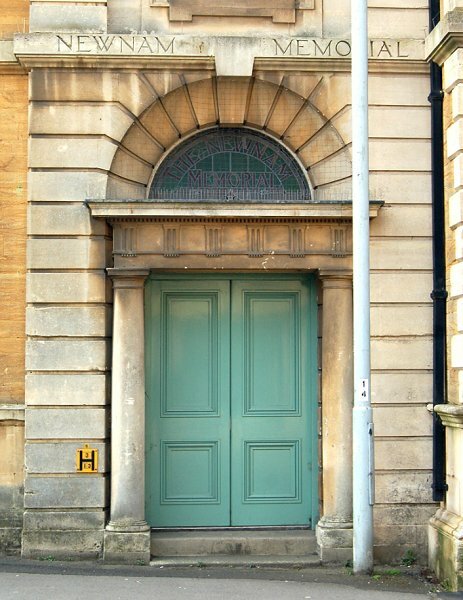 In 1911 a tender reduced to £1,600 was submitted by Messrs Bird & Pippard (who had recently completed the building of the new Western Gazette offices) and accepted. To this sum was added some £200 for the fee of the architects, Newby, Vincent & Findlay Smith of Southampton, and other sundry extras. The final cost, including land, amounted to £3,500. The new building was opened on 21 October 1912 under the auspices of the Mayor, J H Boll. Mr Ebenezer Pittard presented a silver key to Mrs Beilby, the daughter of Samuel Newman, to unlock the door and declare the building open. Prayers were offered by Rev AJ Davies, the President of the Western Baptist Association, and at 5:30pm at public tea was served which was followed by a tour of the new premises. "29 May 1907: Emmie [Louisa's sister] has this afternoon gone to the funeral service at the B[aptist] Ch[apel] for the late Rev. Newnam who passed away at Bristol on Sunday and has been brought to this town to be buried. Papa was devoted to him both as a preacher and a friend and greatly felt his leaving Yeovil, and we were all so fond of him and feel his loss deeply.... it is most remarkable that only Sunday fortnight previous to his death he came to Yeovil and took both services at the Baptist Chapel, and they say his sermons seemed to foreshadow what was about to take place." The main school comprised a Kindergarten, Primary, Junior, Intermediate Boys and Intermediate Girls schools. Senior Boys and Senior Girls schools together with Men's Own and Women's Bible Class was to form a proposed Institute. 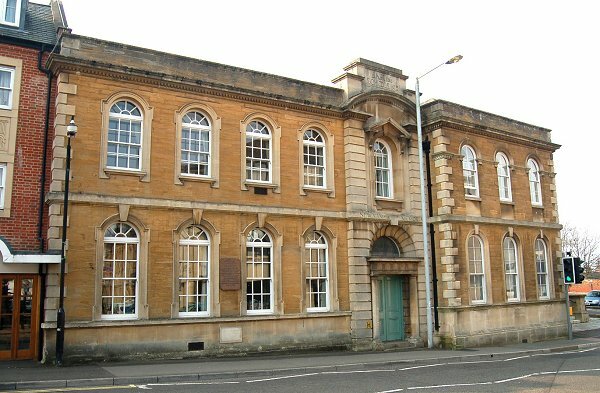 The building also included a Home Department, a Senior and Junior Christian Endeavour Society and was home to the Band of Hope, the 1st Yeovil Company Boys Brigade, 1st Yeovil Company Girls Life Brigade, a Clothing Club and a library. 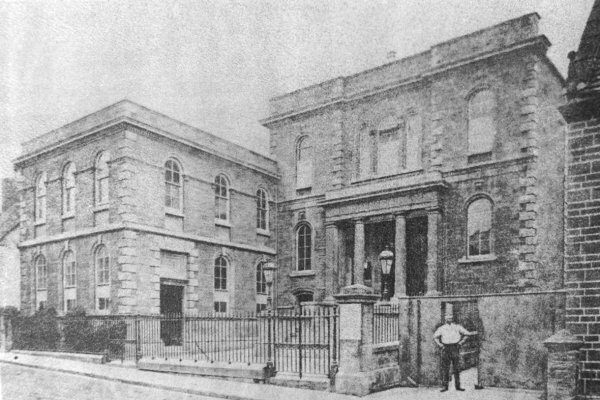 In January 1915 a Red Cross hospital opened in the Newnam Memorial Hall, the hall being lent free of charge. The hospital comprised four wards, a well-equipped operating theatre, a recreation and dining room, the Commandant's room, stores, bathroom, kitchen and 'necessary offices'. The first patients were 103 men from the 1,200 Territorials and Army Service Corps billeted in the town and of these there was only one death. In July 1915 the hospital became recognised as a primary station and immediately began to receive casualties from various fronts. At this time the accommodation was increased to 62 beds. In total 1,200 men were treated at the hospital and only four deaths occurred. A letter from the Prime Minister was sent to the church in November 1917 thanking them for the use of the schoolrooms as a Red Cross hospital. The hospital closed in December 1918, following the end of the war. A plaque was affixed to the front wall of the building as photographed below. 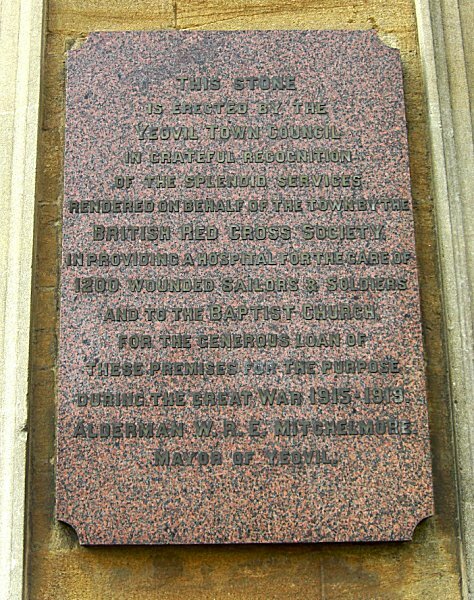 The plaque reads "This stone is erected by the Yeovil Town Council in grateful recognition of the splendid services rendered on behalf of the town by the British Red Cross Society, in providing a hospital for the care of 1,200 wounded sailors and soldiers and to the Baptist church for the generous loan of these premises for the purpose during the Great War 1915-1919. Alderman WRE Mitchelmore, Mayor of Yeovil." 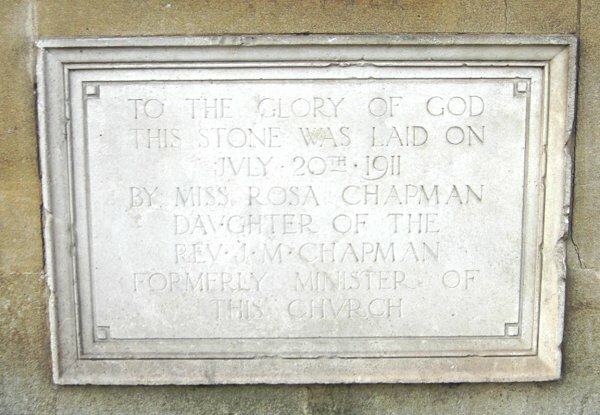 The 1911 foundation stone of Newnham Hall. 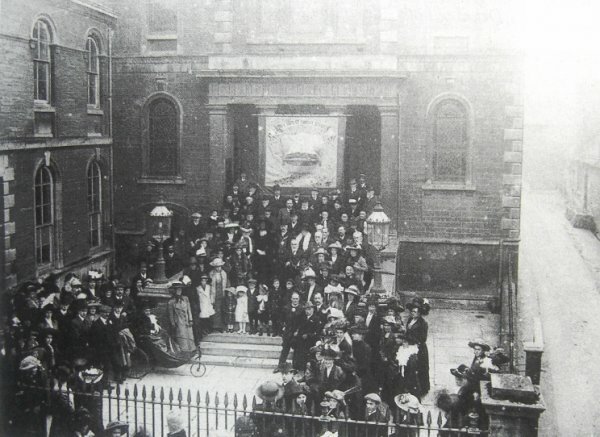 The opening of the Newnam Memorial Hall on 21 October 1912. 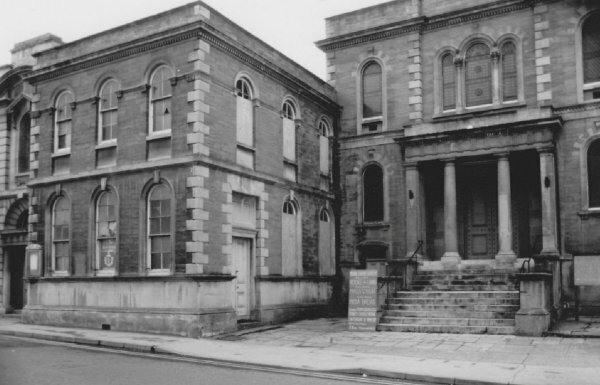 The Newnam Hall and the Baptist Church before the construction of Petters Way alongside. Photographed about 1912. 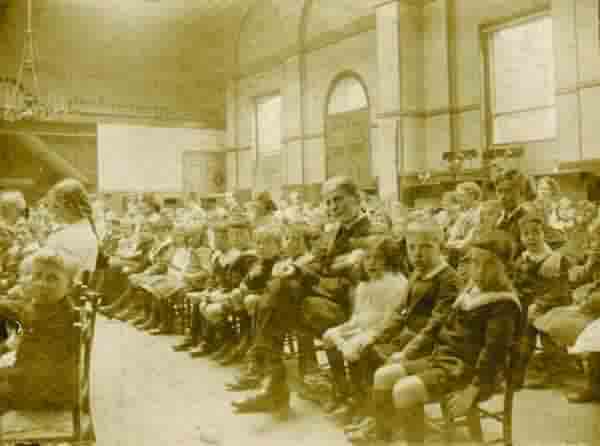 A photograph of an early Sunday school class in the Newnam Hall - probably around 1914. 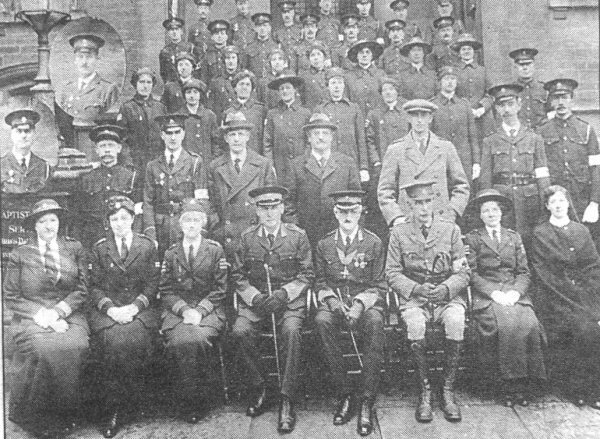 Photograph from an old newspaper cutting showing the officers, staff and VAD volunteers who worked in the Red Cross Hospital at Newnam Memorial Hall, in 1918. 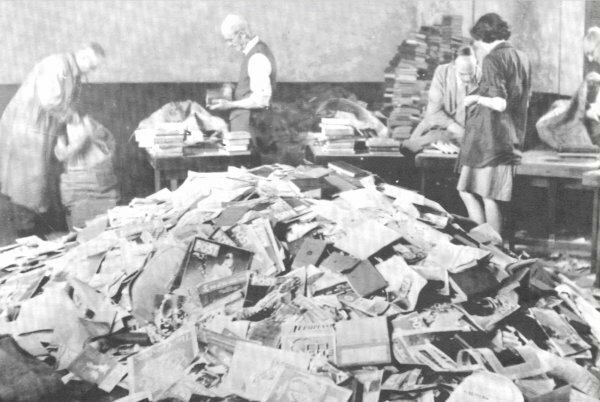 Sorting through books and magazines for the War effort at Newnam Hall in 1943. 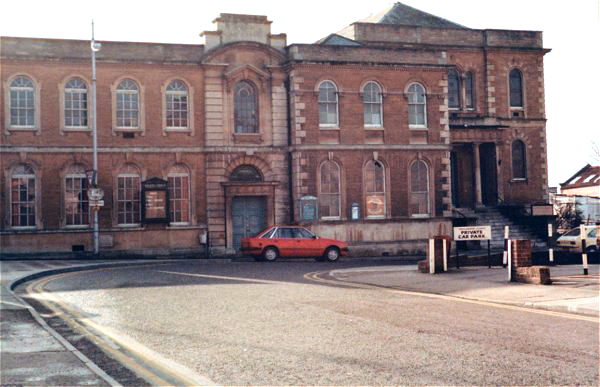 The Newnam Hall photographed from King George Street in 1985. The Newnam Hall and Baptist Church photographed in 2013. 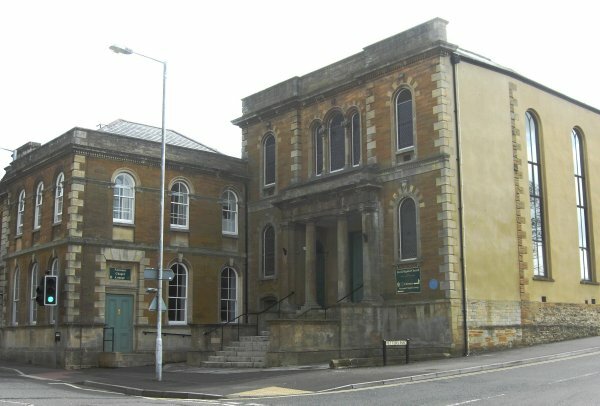 The South Street frontage of the Newnam Memorial Hall. Photographed in 2013. The South Street entrance. Photographed in 2013. The datestone on the parapet of the South Street elevation of the building. Photographed 2013. The plaque, described above, on the South Street elevation of the building. Photographed in 2013.